Hi everyone and welcome! Jenny Marples here, hosting the next of our 2017 challenges here at A Vintage Journey. The theme for this one is called 'Use A Quote' so unsurprisingly we need you to use a quote! Any quote! Whether it be on a stamp, a sticker, handwritten or sourced from the internet, make it the focal point of your vintage, shabby chic, mixed media, art journaling, industrial, timeworn or steampunk project. Our generous sponsors this month are That's Crafty! That’s Crafty! are an online retailer and bricks and mortar shop based in the UK. They sell an extensive range of papercraft and mixed media supplies along with a large range of branded stamps & stencils. In addition they produce and sell their own stamps, stencils and surfaces. 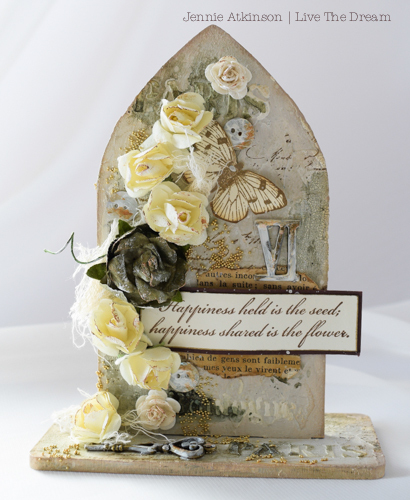 Surfaces include shrines, tags, hearts, panels, journals, uprights and stacks and come in varying materials - MDF, white/grey board and acrylic. That's Crafty! are offering a £20 voucher to their store for our randomly chosen winner.The Creative Guides will also choose three Pinworthy winners who will receive a badge to display on their blogs, as well as an invitation to be a guest designer here at A Vintage Journey for one of our future challenges. Let's get you started with some inspiration from the Creative Guides, who have each selected a That’s Crafty! surface for their project this month. 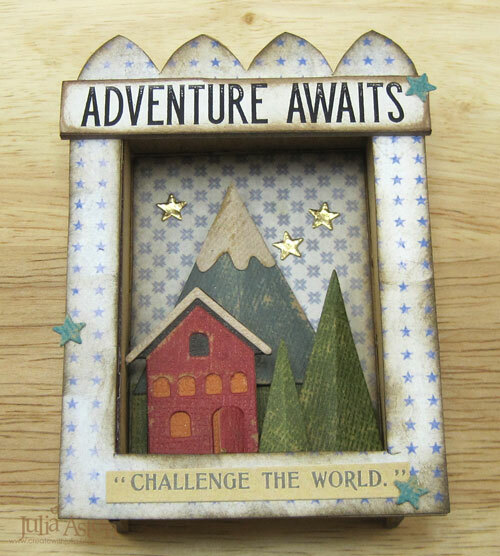 I just loved creating a scene inside this beautiful little Matchbox Art Shrine from That's Crafty! Being newly retired - this is how I'm looking at the next phase of my life - who knows what adventure awaits! If you'd like to see how I put my Adventure Awaits scene together - please venture over to my blog! I decided to go all out vintage with my craft surface and had great fun playing with paints and inks. These surfaces from That's Crafty! are fabulous to work with and so easy to put together. To get a quick run down of how I created this, just visit me here. When I first laid eyes on this beautiful Upright Arch at the That's Crafty! shop I knew I wanted to create a vintage garden. But when I actually received the surface and held it in my hands, I was so impressed with it's size and sturdiness. I knew then I had to build the hardscape before I could landscape. I hope you'll find some time to stop by sarascloset to see how this came together. My craft surface from 'That's Crafty' is a very sturdy 9" x 4.1/2" MDF rectangle. 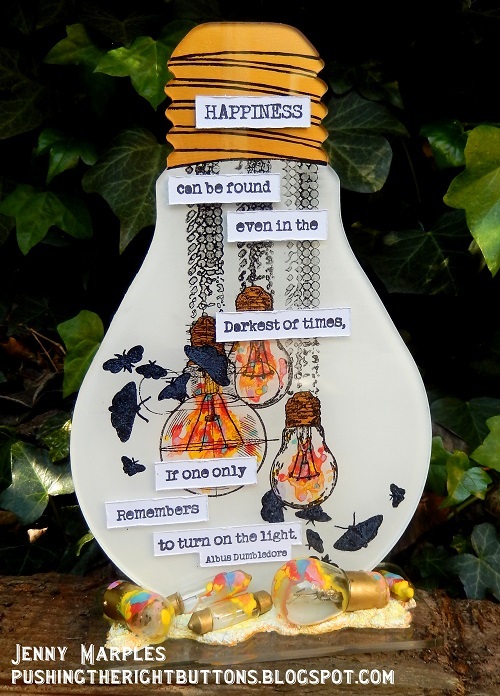 I used my favourite quote and lots of other Tim Holtz products. You can see more on my blog here. 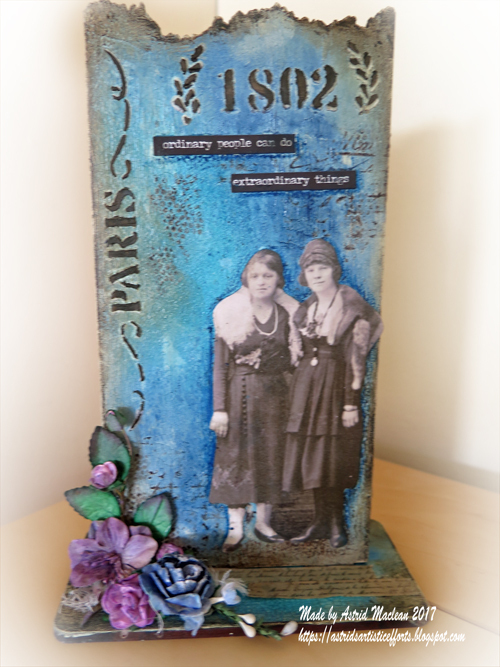 I created this very aged piece with my That's Crafty! 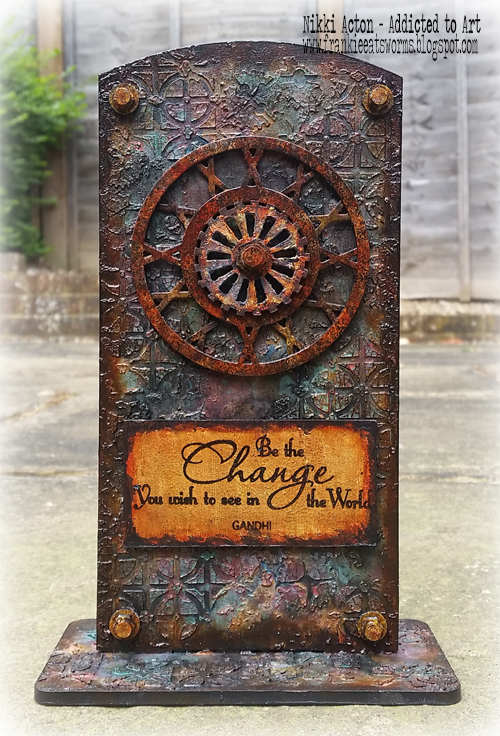 rounded top MDF upright - featuring Seth Apter's new Steering Wheel die, a quote from Gandhi and so many layers of paint and texture! Do hop over to Addicted to Art where I have all the details. As soon as I saw the challenge, I knew which quote I wanted to use, as I am a great believer that "it's the little things that make life big". 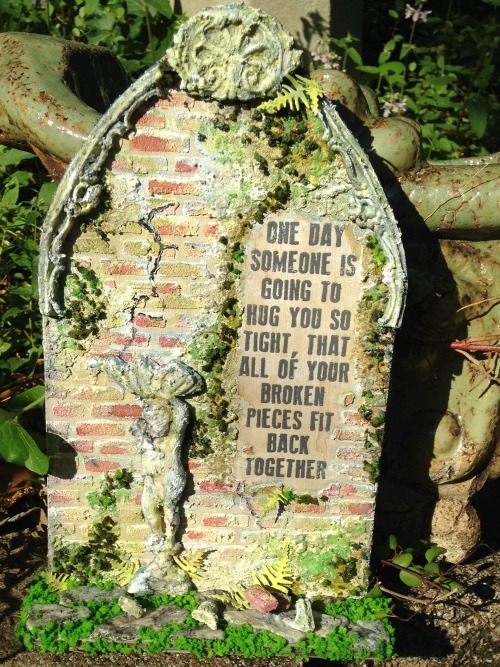 This sentiment may not take centre stage on my piece of art today but it makes a big statement! Pop by my BLOG for the step by steps. I challenged myself to create a tribute to my favorite quote of all time, thus this "tree house." I used a variety of die cuts and inking techniques to create the foliage and background in my woodland scene. That's Crafty! substrates accept ink like a dream! I hope you will visit SewPaperPaint for the inside scoop and closeups. 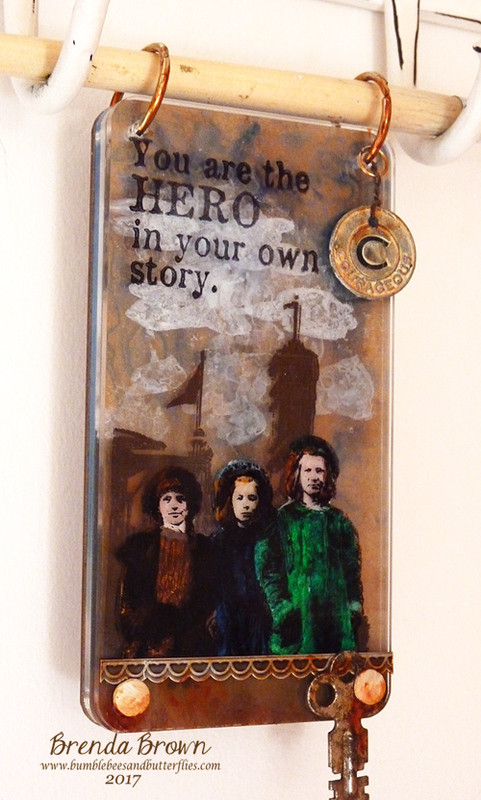 For this challenge I have created a piece of grungy Art using a That's Crafty! 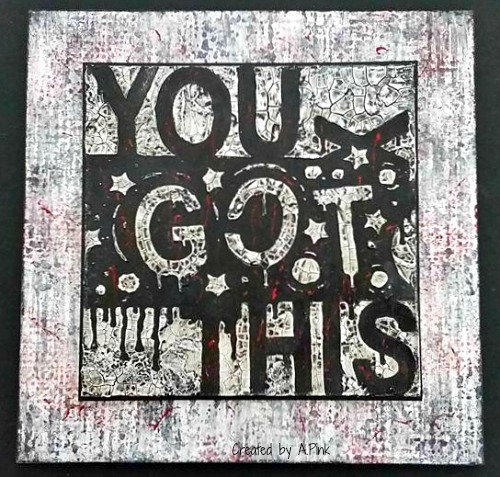 6x6 MDF Panel that allows my chosen 'Quote' (one I use often) to take centre stage. There are more details on my blog if you fancy stopping by . 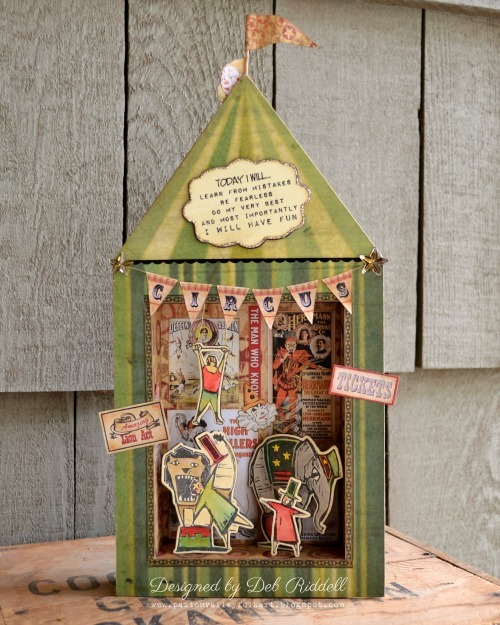 That wonderful quote from Wendy Vecchi's Fun With Art stamp set and the shape of That's Crafty's Large House art shrine led me down a creative path that resulted in my Circus Fun art shrine. I couldn't think of anything much more fun than a circus or much more fearless than putting your head in a lion's mouth! I've some step out photos on how I created it on my blog, hope you can pop by for the how to. For Jenny's fabulous challenge I am playing with a That's Crafty Surface Extra Large Art Shrine House, which is 6.16ins x 8.64ins x 2ins deep. My Quote is very true in that "Knowledge is the Key to Success" in all aspects of daily living. For project and product details please hop over to my blog by clicking HERE. As soon as I saw this clear acrylic light bulb surface on the That's Crafty! website I knew it was a match made in heaven with a brand new, as yet unreleased, A5 stamp set from IndigoBlu. Yes folks, you're getting a sneak peek of some of the images/words from the set right here first! And what encouraging wise words they are from everyone's favourite Hogwarts master. The fun bit was working out how to paint and stamp in reverse as all the colour is on the back of this once clear bulb! Find out more on my blog HERE. So that's all of the amazing inspiration from the Creative Guides for this challenge. We do hope you will join in with us and 'Use A Quote' this month - you can link up your entries below to be in with a chance of winning. (Do remember to check the Travelling Instructions to make sure you qualify for the prize draw and Pinworthy badges). Amazing pieces from you all ladies! Wow! What a fantastic gallery of creativity ladies . Fabulous projects by everyone. These are really inspiring, special projects from the design team. I love them. Gorgeous creations!!!!! Have a great weekend! 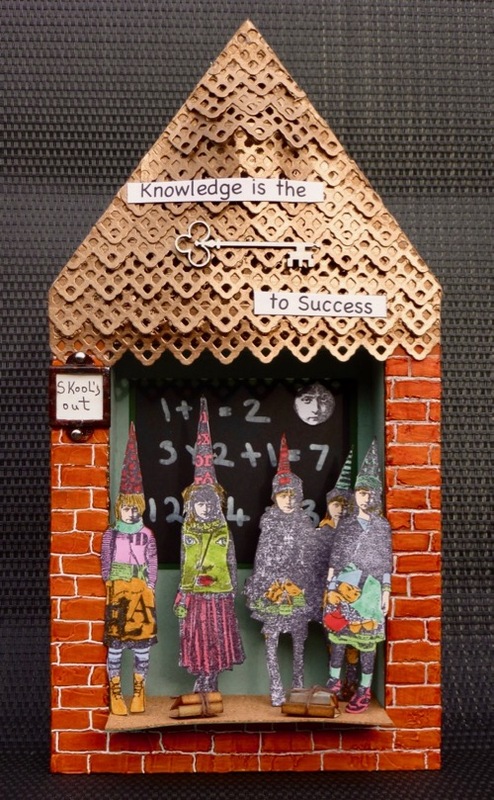 What an array of fantastic altered projects using various Thats Crafty MDF substrates. So many wonderful ideas and amazing creativity........such a fun challenge too. WOW! What amazing inspiration! All of the quotes are wonderful! Wow I just had to pop in to say how stunned I am by all you lovely ladies use of the That's Crafty! substrates, absolutely AMAZING creations!! Wonderful inspiration from all the talented Ladies! Different styles but a huge inspiration, thanks ladies!